Monica is a longtime client of ours. She has built a couple other websites with us for her esthetic businesses.Â She said she wanted us to rebuild a site she made onÂ a different CMS, so she could have all her sites in one spot. 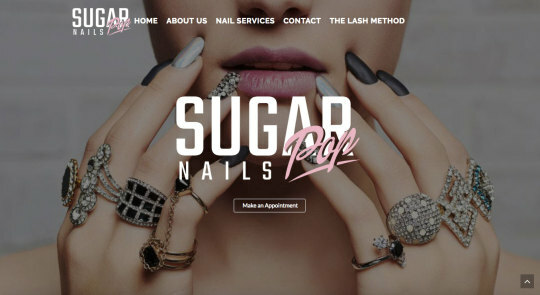 We knocked it out quickly.Â Sugar Pop Nails is one smokinâ€™ site. We did make one additional page: a Contact Us page, so she can gather a bit more information potential clients. 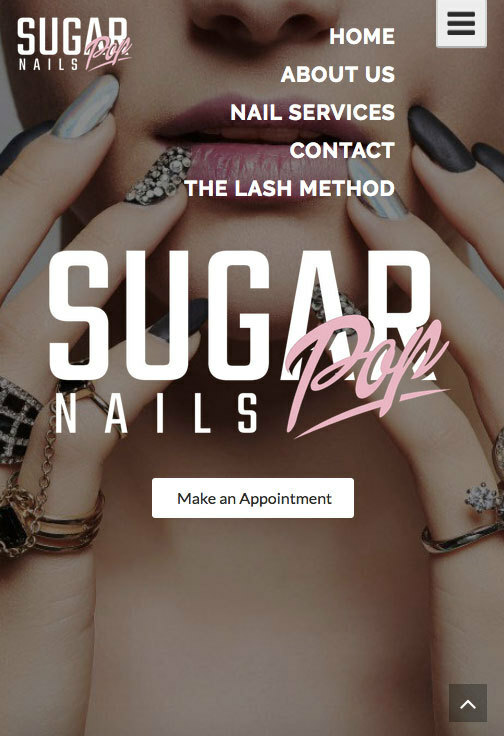 Like all our sites, Sugar Pop Nails is completely mobile friendly!Â All sites should be.Â Why? Because who do you know that doesnâ€™t browse on their smartphone all the time? We loved the images she provided to us! They really make the site pop! (pun intended.) Now she can edit her site if information changes at ANY time! Contact us if youâ€™re looking to make a killer site/improve on the site you already have. We are here to assist!